LEARN INDONESIAN IN JAKARTA | LEARN INDONESIAN ONLINE WORLDWIDE. 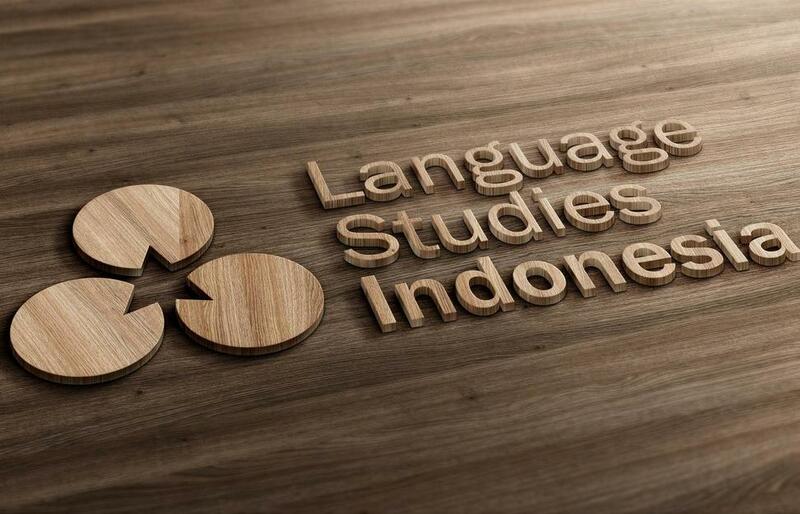 LANGUAGE STUDIES INDONESIA (LSI) IS INDONESIA'S LEADING INTERNATIONAL SCHOOL FOR INDONESIAN LANGUAGE STUDIES. Located in Jakarta, Indonesian, LANGUAGE STUDIES INDONESIA (LSI) is a unique Department of Education School, licensed by the Indonesian government to provide specialised language courses in Bahasa Indonesia - the Indonesian language. LSI is the only educational institution in the Indonesian Capital devoted solely to the study of Bahasa Indonesia. Founded by a consortium of Canadian and Indonesian educators, LSI’s step-by-step course programme is arguably the most effective and scientifically-based Indonesian language program available in the world today. In 2014, the School was recognised as Indonesia's BEST EDUCATION PROGRAM by Indonesia's Minister of Education & Culture. Online Classes are available to learners throughout Indonesia and in 122 countries worldwide. (1) the Tuition Fees are the same, (2) the Instruction and Materials are the same, (3) Instructors/Mentors meet with their students for regular classes each week (via Skype), (4) Classes are face-to-face (with the use of webcam), and (5) Courses earn LSI Certification in the Council of Europe's CEFR Standard. • INDONESIAN LANGUAGE ONLY PACKAGES (with no cultural component). (1) Full Meal Plan, and (2) Accommodation at LSI's 5-star Guest House : Pesona Guest House Jakarta. For more information about LANGUAGE STUDIES INDONESIA's Programs in Jakarta or Online Worldwide. PRIVATE STUDY IS STRONGLY ENCOURAGED STUDENTS SEEKING EXTREMELY RAPID LANGUAGE ACQUISITION. Achieving one's linguistic aims in the shortest possible time requires 'active use of the language' through one-on-one interaction - something which is best achieved between an individual student and her/his Mentor, or among a small collegial group/family. Moreover, Private Classes allow the Instructor/Mentor to tailor training methods to meet the 'specific needs' of an individual learner (or small group), rather than teach to the 'general needs' of a large group in a classroom setting. · The student designs her/his own WEEKLY CLASS SCHEDULE (studying as extensively and intensively as desired). PUBLIC CLASSES ARE IDEAL FOR NEW ARRIVALS & VISITORS WISHING TO CONNECT WITH OTHERS. While language acquisition may not be as rapid as with private study, the good news is : the price point reflects this approach. · Public Classes are for Beginner Students only. · Classes are conducted at the LSI SATELLITE CLASSROOMS in Central Jakarta. · There are a variety of Class Schedules available (to serve students looking for light, semi-intensive and intensive study). LSI COURSES ARE ALSO AVAILABLE ONLINE IN 122 COUNTRIES WORLDWIDE. in the Council of Europe's CEFR standard. (conducted at one of LSI's locations in Jakarta, or onsite at the student's home or office. The student(s) decide on the WEEKLY CLASS SCHEDULE (studying as extensively and intensively as desired). At the ADVANCED LEVELS, a 'BUSINESS LANGUAGE' COMPONENT may be added to any Program. before turning her/his attention to "business language" at the ADVANCED LEVELS. Once the student has gained a rudimentary understanding of the language (at the Foundations and Intermediate levels), then the student is welcome to introduce industry-specific literature to her/his Advanced classes, in order that the Mentor can help her/him develop work-related language skills (e.g. conversing using appropriate business language, reading and interpreting work-related documents, producing business letters, etc). ONLINE INDONESIAN COURSES ARE THE NEXT BEST THING TO STUDYING IN INDONESIA. Based in Jakarta, Indonesia, LANGUAGE STUDIES INDONESIA each year delivers Bahasa Indonesia courses to hundreds of local expatriates living in the Indonesian Capital. Through the LSI ONLINE OUTREACH PROGRAM, this same education is available to learners throughout Indonesia and in 122 countries worldwide. LSI's Bahasa Indonesia Online Courses and Lessons are virtually identical to those delivered "live" in Jakarta . .
· Courses earn LSI Certification in the Council of Europe's CEFR Standard. Indonesian Language Online Courses are delivered using Skype. · use Skype and webcam for online communication. · Headset (headphone with microphone). Alternatively, microphone and speaker. THERE IS NO PAYMENT DUE AT THE TIME OF ENROLLMENT. COMPLIMENTARY 30-MINUTE “TECHNICAL SESSION” with the student (to review LSI’s lesson procedures and ensure that there is an adequate internet connection for online course delivery. and she/he may commence studies. At the ADVANCED LEVELS, a 'PROFESSIONAL LANGUAGE' COMPONENT may be added to any Program. before turning her/his attention to "professional language" at the ADVANCED LEVELS. Once the student has gained a rudimentary understanding of the language (at the Foundations and Intermediate levels), then the student is welcome to introduce field-related literature to her/his Advanced classes, in order that the Mentor can help her/him develop work-related language skills (e.g. conversing using appropriate professional language, reading and interpreting work-related documents, producing business letters, etc). in JAKARTA or ONLINE worldwide. Private Classes allow the Instructor/Mentor to tailor training methods to meet the 'specific needs' of an individual learner (or small group), rather than teach to the 'general needs' of a large group in a classroom setting. Regardless of the "name" assigned to a student's course, she/he is NOT "arbitrarily placed" in a given Course Level. Although the student may be "officially" registered in a particular level (e.g. Intermediate I ), the student may be surprised to learn as her/his Programme progresses that your Instructor/Mentor is . . .
· drawing some lessons from the lower Foundations levels. With PRIVATE INSTRUCTION, the Mentor can "tailor each course" - drawing freely from ALL LEVELS of the LSI curriculum to address the individual needs of the student. Whether students LEARN INDONESIAN ONLINE or STUDY IN JAKARTA . . . LANGUAGE IMMERSION PROGRAMS IN JAKARTA, INDONESIA. Come an "Live the Language." Looking for Summer Language Immersion Programs? Want to learn a language abroad at another time of year? Regardless of the Package chosen, the first mission of the LSI IMMERSION PROGRAM is to provide each visiting student with the necessary "contexts" to use Bahasa Indonesia on a daily basis . . . and to attempt to keep the student "in Bahasa Indonesia" for the duration of her/his stay. For students undertaking a the CULTURAL COMPONENT, the twin goal is to provide the student with a better understanding of the culture and people of Indonesia . . . and, hopefully, have the student return home having acquired memories, friendships and influences which will impact her/his life forever. LANGUAGE STUDIES INDONESIA's Language Immersion Program in Jakarta, Indonesia offers more than a chance to learn a language abroad. It offers an opportunity to get away from the "familiar" and go on an "unusual journey." Unlike countries in Europe and the Americas (which attract thousands of foreign travellers and students annually), Indonesia is well off the "western radar screen." In the world's fourth most-populous country, there are few Western visitors. Therefore, a study-trip to Indonesia offers a quieter, more unique and personal experience . . . and the promise of "true" language immersion. OR AS SMALL GROUPS (2 To 4 Learners with 1 Instructor/Mentor). Come to Indonesia and Live the Life." Come and "Live the Language!" We look forward to welcoming you to Indonesian Capital in the months ahead. Since I first started the communication with LSI in order to book my course, Ibu Anissa always showed a prompt and effective response. Following an advanced intensive course, I was highly impressed with the teaching method adopted by LSI. My amazing teachers (Pak Bayu and Ibu Anila) were very supportive and very creative to give me a great challenging experience through a CUSTOMIZED CURRICULUM which meets my learning interests. The dedication showed by Pak Bayu and Ibu Anila always succeeded to keep my class always active and brought me day by day into a higher level of challenge and proficiency, which supported my educational process and significantly improved my skills. Learning Bahasa Indonesia with LSI made me longing to seek for more linguistic discoveries through the post advanced level that I have already started, and brought new language added values. I genuinely commend LSI for any Bahasa Indonesia’s learning seeker; a great investment and experience to be acquired at the VERY PROPER school.